Too often in the last few years and in this election campaign music has become embroiled with politics. As an example this is an event taking place the day before the election. But why is politics even involved with music? All musicians like all sports fans will have varying political views. Music is for relaxation. At a concert I want to relax and enjoy the music without listening to a monotonous Corbyn rap. Pragmatically musicians have no better perspective on politics than football fans. Where next? Shall we be treated to Chelsea employing their fans to vote a specific way? Will we get flyers from Tesco telling us who to vote for? The logic is obvious. Completely disagree – music is a statement, it is the expression of generations. If people are not free to express opinions and address issues, then all we will end up with is the vacuous empty chart topping drivel that dominates the radio airwaves today. From the days of The Beatles (and before) right up to modern day, serious issues have been highlighted throughout music and this is right. Similarly, would you say that someone should not write a poem about political issues, should newspapers ban the art of cartooning on political issues? I doubt that. 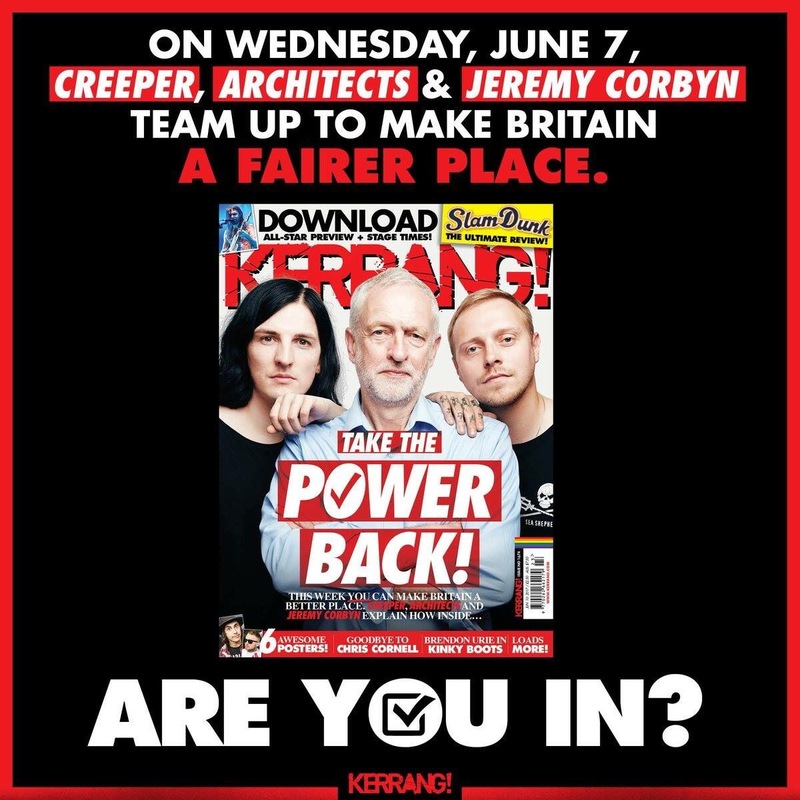 I would assume that you are simply annoyed that this is “pro-corbyn” as opposed to having a real issue with political messaging in the music industry. You can’t take politics out of anything we do and especially not music. People who pretend they are not political are lying, to themselves at least. What you are saying if you pretend to be apolitical is ‘ I’m happy with injustice, prejudice, war and deception, greed and hate – so long as it isn’t directly affecting me!’ Politics is not about which party we support. That’s just one manifestation of how we view the world, live our lives and make sense of the past present and imagined future. What kind of music would we have if songwriters, musicians and performers never expressed their ‘political’ views? Are you saying Billie Holiday and Nina Simone, for example, should never have sung about racism (Strange Fruit, Mississppi Goddam’)? What insipid kind of music would you leave us with if you take away political messages and stories? No Billy Bragg, No Neil Young, No Bob Dylan, No Woody Guthrie, No Sam Cooke, No Aretha Franklin, ……might as well listen to One Direction!